The Two Ronnies were also lovers and of approximately the same size ratio as the Krankies. As are Baddiel and Skinner. Don’t know about Little & Large or Cannon & Ball though. impressed by your knowledge of crap brit comedy teams, asbo. spotted eddie large shopping at the mall last xmas. ps.two ronnies obv. not crap. I have been here 15 years as of this month, after all. Also meant to comment on the controversial precedent of posting albums you *didn’t* thrift–what next, me posting a White Album #005 that I didn’t buy at Cat Protection League? 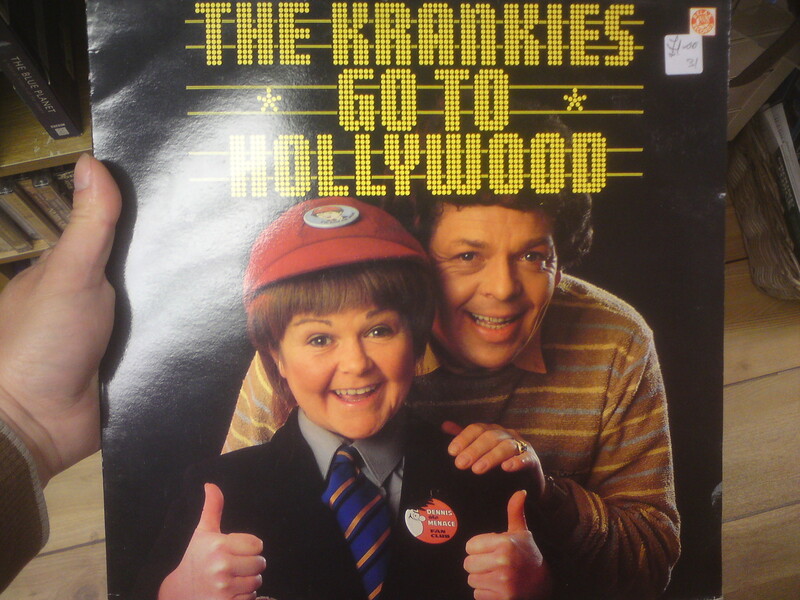 Finally, I wonder did the Krankies stay in character/costume for extra horniness during their jook sessions. point #1: true, but i haven’t seen the krankies or cannon & ball in the media much during the past 15 years. figured the british public were trying to forget they ever existed. fucks sake – this record is worth £8-£10 on discogs. gonna go back and bag it next week. sell it on for a quick profit.. I don’t trust ebay or discogs for valuation anymore. i got a sealed j. jocko “that’s the song” Lp that goes for decent money even in good condition (£20-£30 +); i’ve put it up on ebay starting at £9.99–damn thing hasn’t shifted in 3 10-day tries! out of curiosity looked up this album on discogs for the tracklisting – looks like there’s a great find for cod-reggae collectors in the shape of “reggae love song”… maybe that’s why it’s priced at close to a tenner! asbo: your wonderment on the “off -duty” krankies is (to use your vernacular) gross, but on the other hand the mere thought of it makes me crack up! aren’t you glad you moved to good old blighty? He paid 20p for it!